So basically, I got a call yesterday from Career Central saying she has a place I will intern at this week. It's called Tangerine Cove and it's essentially a nursing home. I would be working in housekeeping, basically helping an elderly lady do laundry. She has been doing it for 21 years, even when the building was still a hotel. She has zero help at all and she does ALL of the laundry. All the blankets, pillows/cases, their clothes, towels, etc. She was so backed up that she needed help a lot. At the end of the week we shall see if they decide to hire me or not. I am really tired, I worked 8 hours today and have 32 more hours to go this week. I definitely am not used to being on my feet for 8 hours so the backs of my heels are really sore but my Dad said I would get used to it after awhile. But I might not be on much with the job and all, I am taking a 2 week hiatus from tumblr to try and distance myself from the crazy. But have no fear! I shall always come back on and check my friends page. Just wanted to keep you all up to date. 1. Reply to this post with the keyword, and I will pick five of your icons. billysgirl5 picked my icons I should talk about. 1. This one is from Jared's adorable little photo shoot with TV Guide magazine. And I love all the silly faces he makes this is also a nice icon for any post/comment of surprise/utter glee! Jared makes the best faces. 2. This is Charlie from Numb3rs, I dubbed it pensive because it does look rather pensive. To be honest I just need more Numb3rs icons because there is zero to none to be found. 3. Ah Jensen. I LOVE this shot of him, whoever took this photo is a genius. I wish you could see the whole shot because everything is professional. 4. A four brothers icon, with Bobby and Jack. One of my favorite movies, I rewatched it recently and wanted some more four brothers icons which this is one of them. 5. Another Numb3rs icon, with Charlie whose decidedly happier. I just love how happy/proud he looks. It's cute. 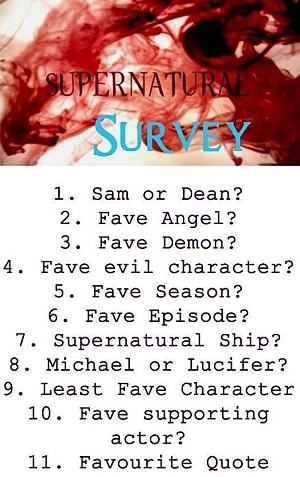 Well the elated happiness over my computer STILL working is cause me to participate in a Supernatural Meme I've seen going around.